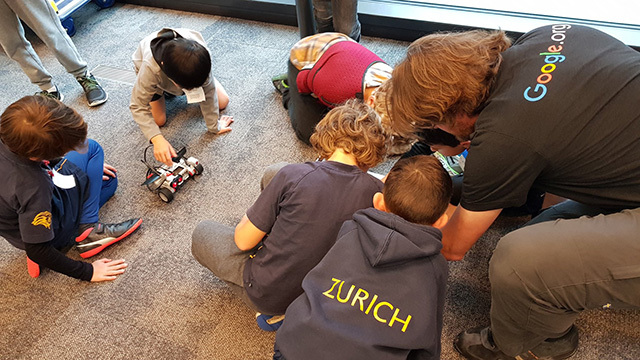 Here is a photo from the Google Zurich office showing 3rd grade children building robots. He wrote "3rd graders visited the Google office in Zurich today & had lots of fun building robots & improving their coding skills with Google engineers." He shared this on Twitter.